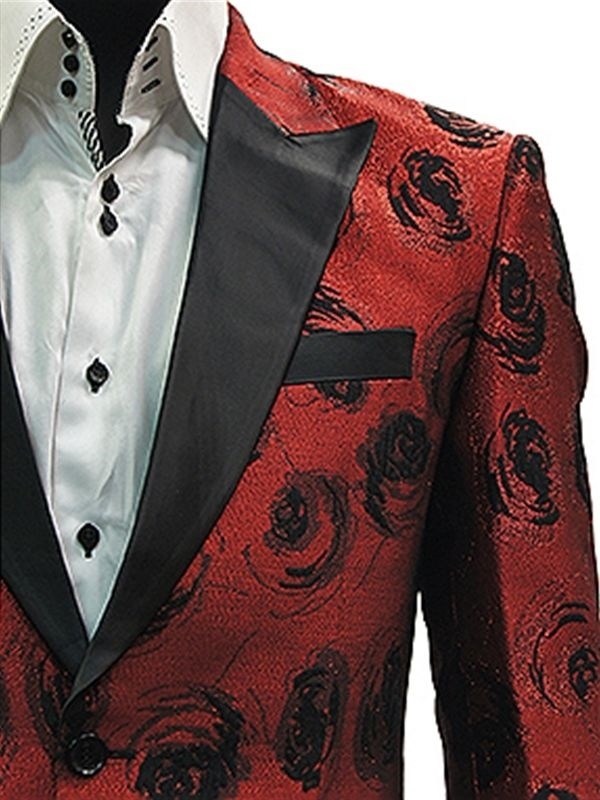 Angelino Rust Black Metallic Floral Rose Blazer! 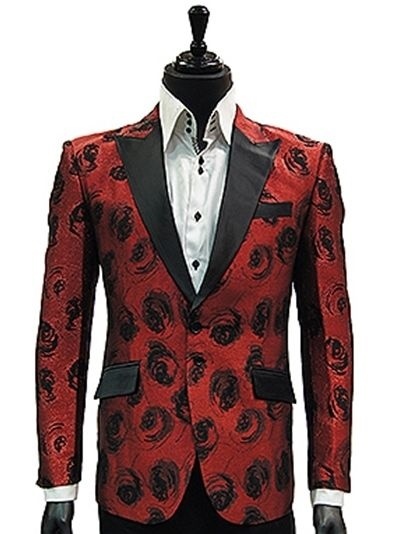 For your next formal event, take a break from basic black and wear something with a little more punch. 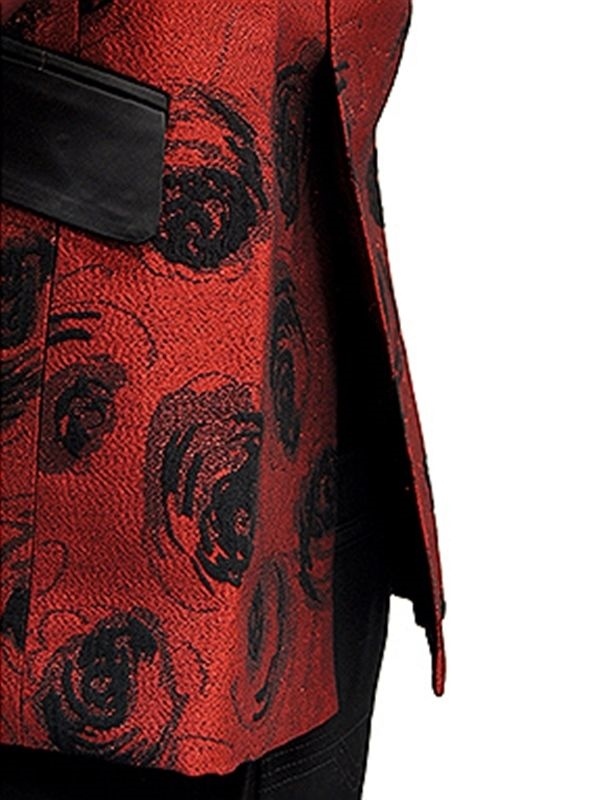 This jacket from Angelino features a bright red backdrop and metallic black rose pattern. Black satin peak lapels and pocket flaps. 2-button closure, double vented silhouette. Just add a pair of black dress pants and white shirt and you're ready to party! A ShopBigTime show stopper for sure!